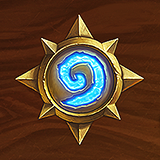 06/02/2014 12:31 AMPosted by TimHobbitEveryone is starting over with the new month, so until the better players move back up the ranks you will be seeing high powered decks full of epic & legendary cards in the 25-20 ranks. It would be much less frustrating to just avoid them for a few days, try casual, it might be a bit easier until then.Wow. I just just made a thread titled "HURRY UP NOOBS"; this is probably a more civil approach.EDIT: Just kidding, you are bad and slow. 12/14/2013 09:20 PMPosted by MoncriefStealth only blocks manual targeting - anything else is considered AoEWhat about Fireball/Frostbolt/Ice Lance/Shadowbolt/Earth Shock/Lightning Shock/Assassinate/Hammer of Wrath/Mind Control/Arcane Shot/Charge/Wrath?12/14/2013 09:20 PMPosted by Moncriefanything else is considered AoEGreat argument. Another thing is Arcane Missles target stealth units. Dat's H4x. Really though, this game just is pretty lame and despite the number of Arena games bought I have a hard time seeing this going widespread just based on the frustration factor. GL Blizz. 12/12/2013 07:56 PMPosted by MoncriefSometimes you lose to luck, sometimes you win to luck.Yes, but this game is extremely unbalanced atm. I know it's beta and I would hate to be Blizz trying to balance a game like this (based on luck) right now.I guess it's no different than WoW. 12/12/2013 07:30 PMPosted by MightyrahiemSure, but sometimes bat choices apparently start with drawing your first hand... and you drop some undesirable cards and are rewarded with end game crap.Sometimes you just get screwed. I don't like losing to baddies on some luck draw. Commence flame. Are you sure you want to concede? Please add an "Are you sure?" prompt after the Concede menu option.That's a tough way to lose an arena game while hastily looking for the Options at the beginning of a hand.Thanks.